First off, can I just say how much I absolutely love the cover of this book? I was in full on cover-lust when I first saw it. Now, I am truly a big fan of B.B. Easton, but I did wonder if her writing was going to be as phenomenal as it had been with her ”44 Chapter” series. This time she wasn’t writing about her life experiences. Could she pull this off? I’m going to be honest, it took me a while to get into this story. 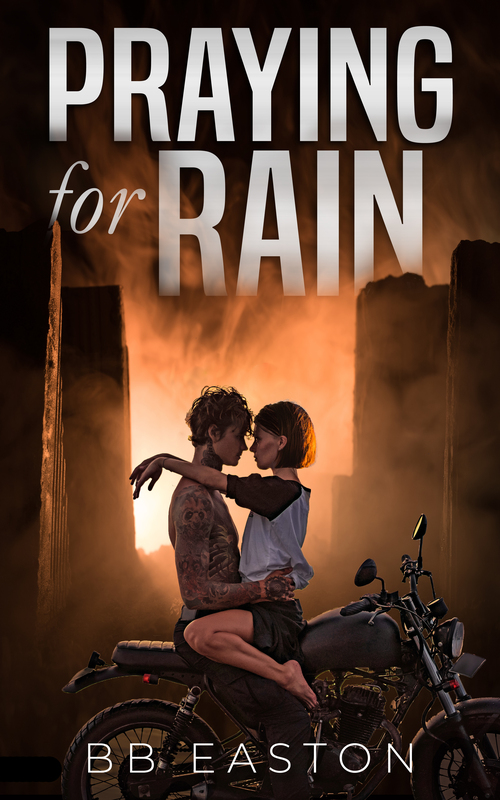 Maybe it’s because I’m not certain that “dystopian” and “apocalyptic” stories are my thing, but as I said, I’m a fan of this author, and so I stuck it out. 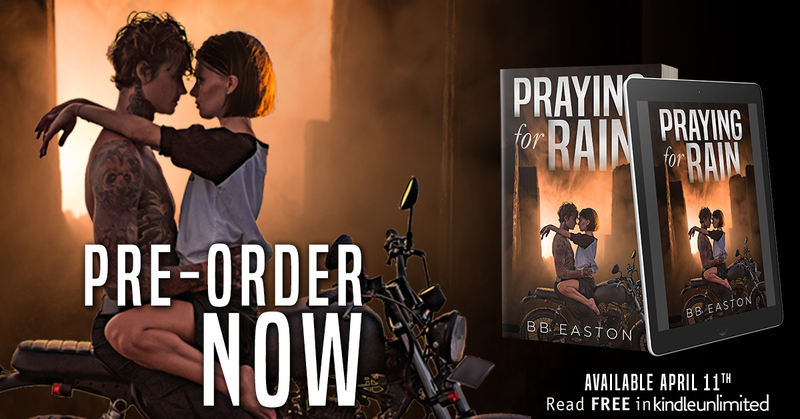 PRAYING FOR RAIN is currently available!